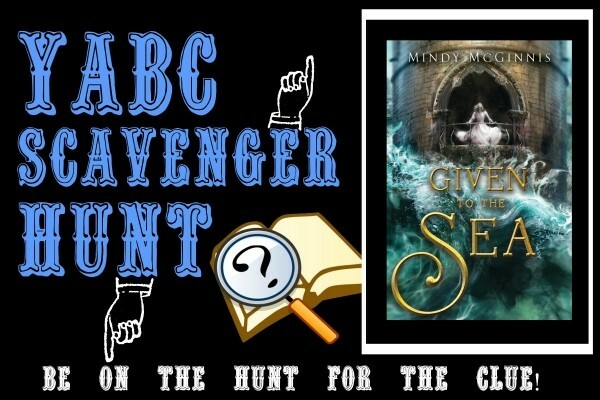 Today we're excited to share Mindy McGinnis' article, "Jumping Genres," inspired by her new novel, Given to the Sea as part of the YABC Scavenger Hunt! Read on for more about Mindy, her novel, and an extra giveaway! And don't forget to answer the question from this post on the Scavenger Hunt form for a chance to win the Grand Prize! You can find Scavenger Hunt rules and entry form HERE. Her first contemporary, THE FEMALE OF THE SPECIES releases in September of 2016, followed by the first in a fantasy duology, GIVEN TO THE SEA, releasing on April 11, 2017. Meet Given to the Sea! Khosa is Given to the Sea, a girl born to be fed to the water, her flesh preventing a wave like the one that destroyed the Kingdom of Stille in days of old. But before she’s allowed to dancean uncontrollable twitching of the limbs that will carry her to the shore in a frenzy—she must produce an heir. Yet the thought of human touch sends shudders down her spine that not even the sound of the tide can match. If you follow my books at all you know that I write all over the place. My first two books were post apocalyptic survival tales, my third a Gothic historical thriller, and my fourth a gritty contemporary. With my fifth book, GIVEN TO THE SEA, I wandered into the realm of fantasy. When it was time to begin GIVEN TO THE SEA I was ecstatic. I had just finished A MADNESS SO DISCREET, my historical, for which I had researched for 18 months before penning a single fictitious word. At one point I couldn't finish a line of dialogue without doing a solid 15 minutes of research to learn what a cop would have been called in Boston in the 1890s. No more of that - it was time for pure fiction, a world of my own in which I could make up any word I would like to fill in the pesky blanks. This was the first time I'd ever written fantasy, and I went into it thinking this would be my easiest drafting process yet. The unique challenge in fantasy is that your reader can assume nothing. If I'm writing a contemporary and I tell you that my main character goes to a private school, drives a Mercedes, and only wears Prada, you can draw about 20 assumptions about her, her environment, and probably her past pretty easily. I don't have to fill in the blanks. In fantasy, if I tell you that one of my characters is the last surviving female of the Indiri... you know pretty much nothing. You can't infer from that that she's the only person in this world with magic, as only the females of the tribe carry that gift. You don't know what her life is like - are in the Indiri a reigning class living in a castle with servants, or are they a wild, feral people? Are these royals? Are they cannibals? What is expected of this character in her class and situation? You don't know. And so I have to tell you. And I have to do it in a way that is not a bullet point list, boring to read and onerous to write. I have to give you seventeen years of backstory while also illustrating the present, seamlessly giving you the entire picture of her life while making it, you know, interesting. Not easy. And that's just one character. 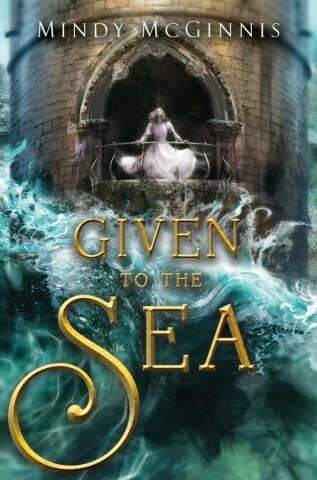 GIVEN TO THE SEA has four POV's and as many highly unique and different cultures. Delivering all four - along with the land, the layout, the animals, the legend and history of this fictitious place - er... yeah. Writing fantasy was the hardest genre I've tackled yet, so I hope when SEA releases on April 11 you think I did a good job for you! continue to the OFFICIAL ENTRY FORM. When completed, submit your entry by clicking the Rafflecopter post below. Your favorite is usually whatever one you finished most recently... I can say it probably depends on my mood. I read widely, and write widely, and so my favorite could be different on any given day. I love the multiple POVS. How did you decide to add so many stories into just this one book? The story is so huge, in order for the reader to know what was going on in all parts of the island country I had to have multiple POV's. The sequel has even more! Would you be writing a horror book in the future? I would definitely consider it! Right now I have paranormal that I'm working on, but I don't know if I would call it horror. In order for me to write something I have to believe that I'm bringing something unique and new to the genre and with horror I think that can be particularly difficult. If you could be any kind of tree, what kind of tree would you be? This book sounds amazing. I've enjoyed reading everything I've read from you so far and can't wait for this book! What has been your favorite book to research so far? Given to the Sea sounds really cool. Mindy mentions that she likes to hop between genres. I'd like to ask her in what genre would she avoid writing a book.